The Chemical Brothers return with their first studio album since 2010's ‘Further’. 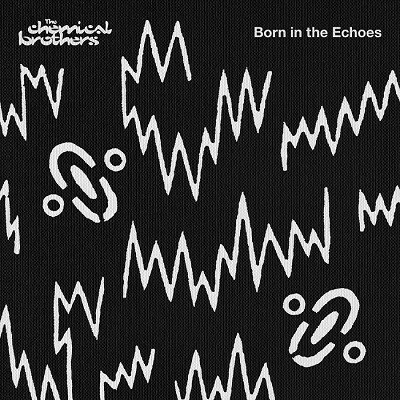 Released to coincide with headline slots at Glastonbury, Sonar and Bestival, The Chemical Brothers' eighth studio album - ‘Born In The Echoes’ - is an 11-track collection of lean, propulsive machine driven music. From juddering robotic funk to unhinged futurist Freakbeat; icy spectral psych to rhapsodic analog synthetics; from euphoric spiritual acid to harmonic ambient distortion, the album is the sound of a reinvigorated Chemical Brothers creating some of the most mind-expanding music of their career to date. ‘Born In The Echoes’ features a cast of collaborators including previous guests Q-Tip (‘Go’ - a track that will be accompanied by a video directed by Michel Gondry) and Ali Love (‘EML Ritual’) as well as first time visitors to the studio - St. Vincent (‘Under Neon Lights’), Cate Le Bon (‘Born In The Echoes’) and Beck (‘Wide Open’ – his first new music since his Grammy winning album ‘Morning Phase’). In each case, the vocals are assimilated into the music, helping to create music that's uniquely that of the Chemical Brothers – an unmistakable sound that recently saw the band (Tom Rowlands and Ed Simons) win the Ivor Novello Award for Outstanding Song Collection. The award recognised the duo's position as one of the most influential acts in global electronic music. Built around a discombobulating Escher-esque rhythm track, 'Sometimes I Feel So Deserted' will be the first track released from and is will be available as an instant grat now with pre-orders of the album via online retailers. The album is out 17 July on Virgin / EMI.